Perfect for an authentic Japanese tea ceremony, This BambooMN Brand matcha set will help you whip up the perfect cup of Matcha, Lump free! BambooMN branded products are sourced from Certified Factories that provide fair and good working conditions for the workers. BambooMN supports Oxfam and Second Harvest Heartland. Traditional quality meets modern simplicity, these sets make for a perfect gift. 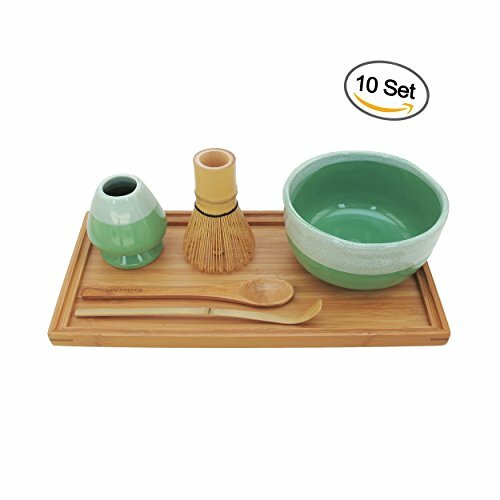 This set includes: One Bamboo Whisk, one Ceramic Bowl, one Ceramic Rest, one Bamboo Teaspoon, one Bamboo Tray, and one Bamboo Chasaku. Traditional quality meets modern simplicity, these sets make for a perfect gift. If you have any questions about this product by BambooMN, contact us by completing and submitting the form below. If you are looking for a specif part number, please include it with your message.